There are few historical sites about which absolutely nothing is known: even when folklore and tradition have little to say, there’s usually some carbon dating of organic remains that will yield a vague suggestion about who was buried there, or who used it, and when they might have lived. 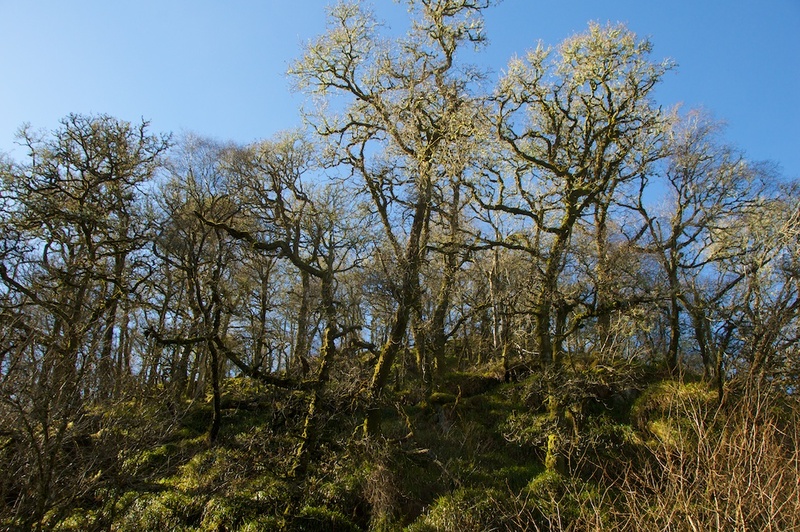 But on a hillside above Lochgilphead in Argyll, an extraordinary place continues to resist the logic of science. 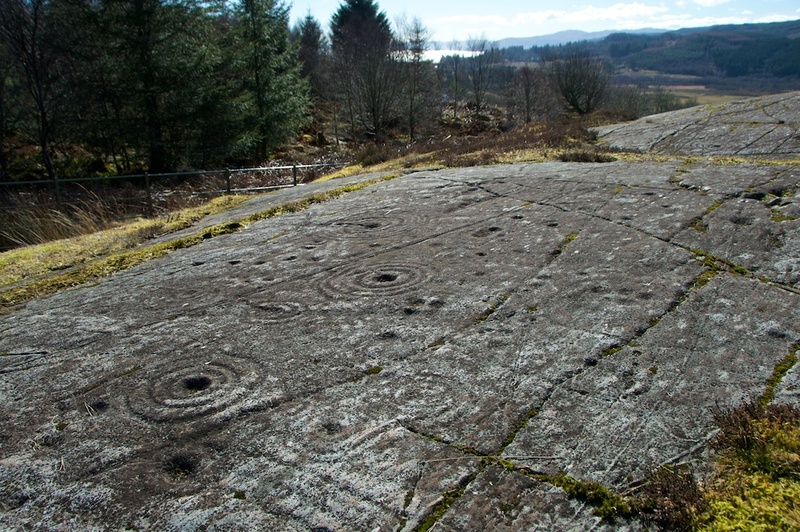 This is Achnabreck, where three outcrops of rock are covered in wonderful carved symbols. 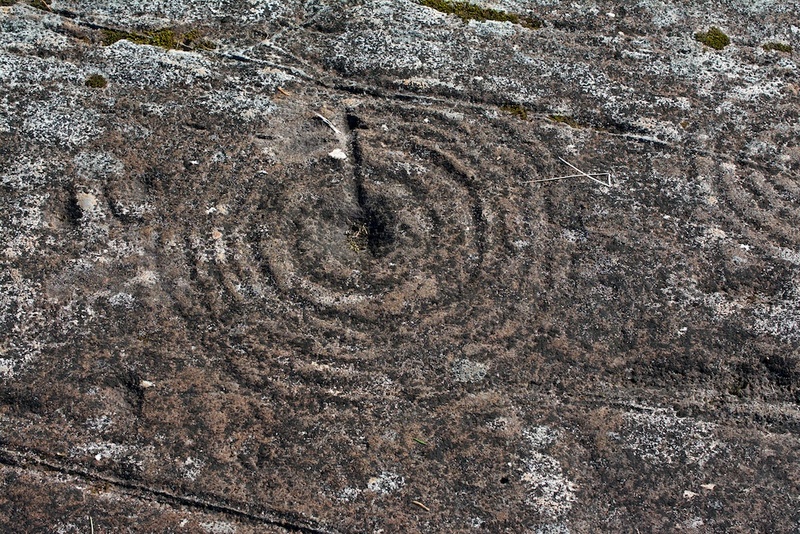 Most are concentric circles, some with a straight line cutting through to the middle, sometimes overlapping, and varying in size from a few inches to three feet across; around them, apparently at random, are cup-marks and occasionally spirals, and many are connected by lines cut into the rock. 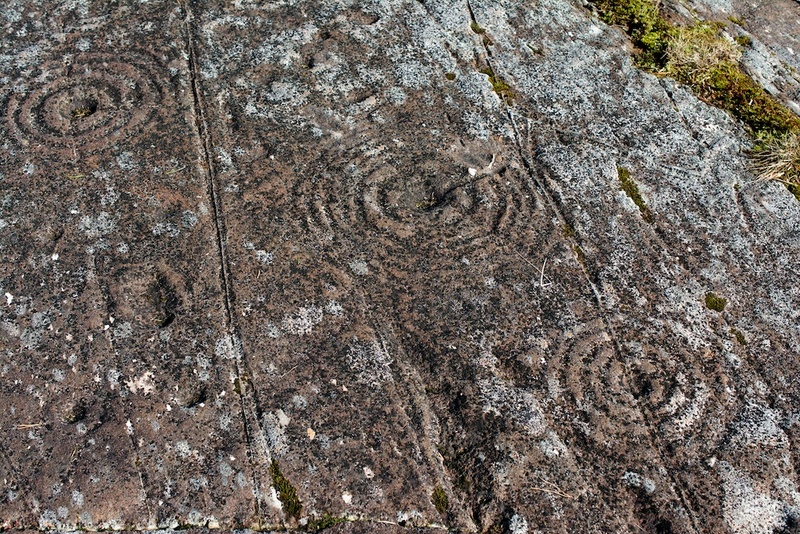 Some of these straight lines look like glacial striations, but often they are crossed and overlaid with deeper grooves, either dividing or connecting the circles. 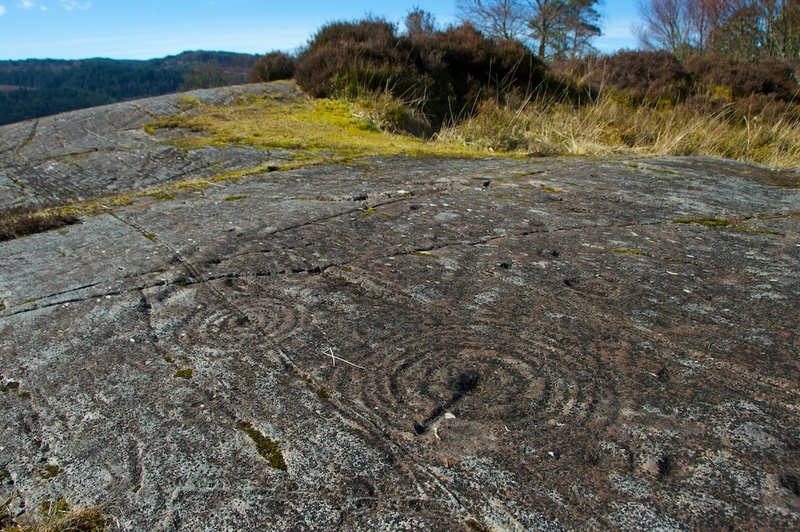 The information signs at Achnabreck are candid about the mystery, suggesting that the symbols may have had some significance in rituals, at a time when people believed that “the landscape itself was alive and had powers of its own”. I’ve got to say that this is something I still like to believe. Visitors are invited to open their minds and draw their own inspiration about the site, and with these photographs I hope that you will enjoy doing the same. It has been suggested that the carvings were made with quartz tools, because fragments of white quartz that had been used in hammerstones have been found close by. 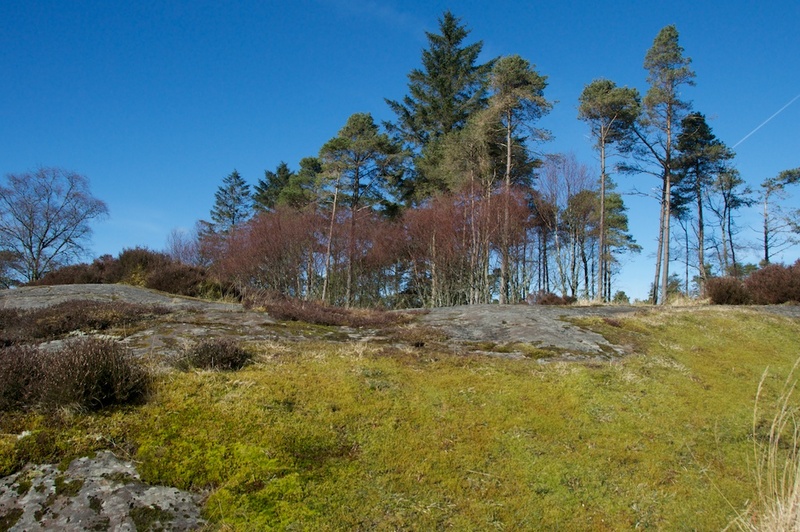 There are three separate outcrops of carved rock at Achnabreck – although more may yet be hidden under the earth – and the walk there is a delight, especially on a crisp morning with the sunlight sparkling on forests of moss and thrushes singing from the oak woods. 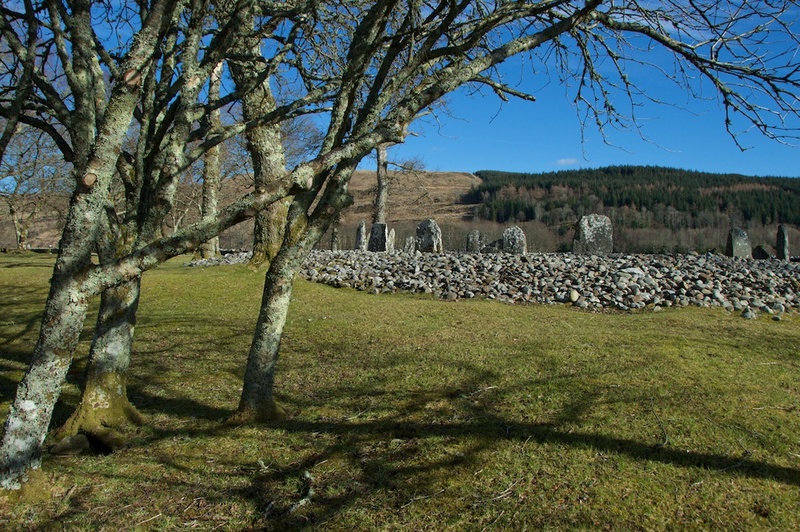 You can find Achnabreck just a couple of miles north of Lochgilphead on the road up through Kilmartin Glen. 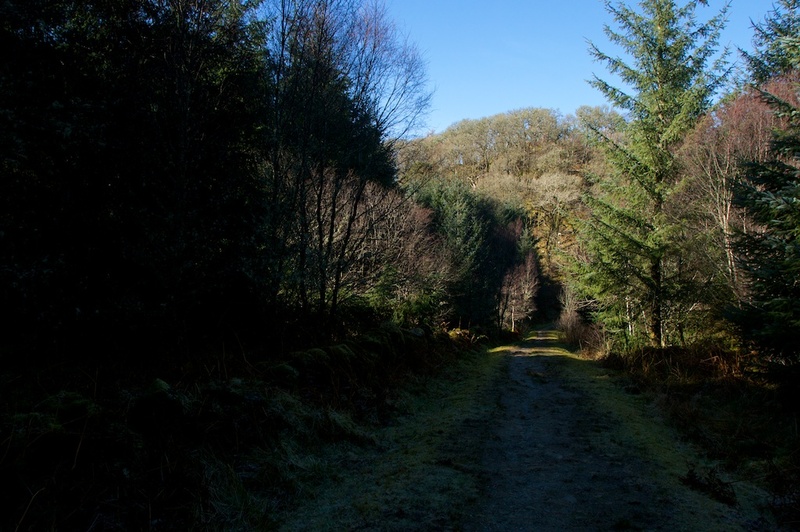 A forest track leads to a car park, and from there you will see waymarked woodland paths. Great post Jo. I quite like the fact that there are still some mysteries around. And from what you say this seems likely to remain one of them. I love the photos of the wood. Dreich morning here in Edinburgh and your lovely photos bucked up the day. Thank you. Me too, David, and thank you. Perhaps some mysteries will always elude modern logic. 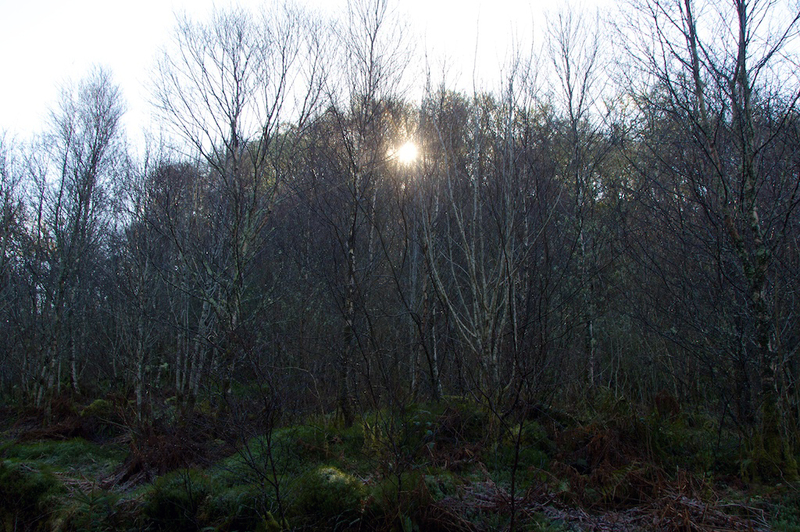 Yes, dreich here this morning – bring back the sunshine! A fascinating site/post and complimented by your photographs. 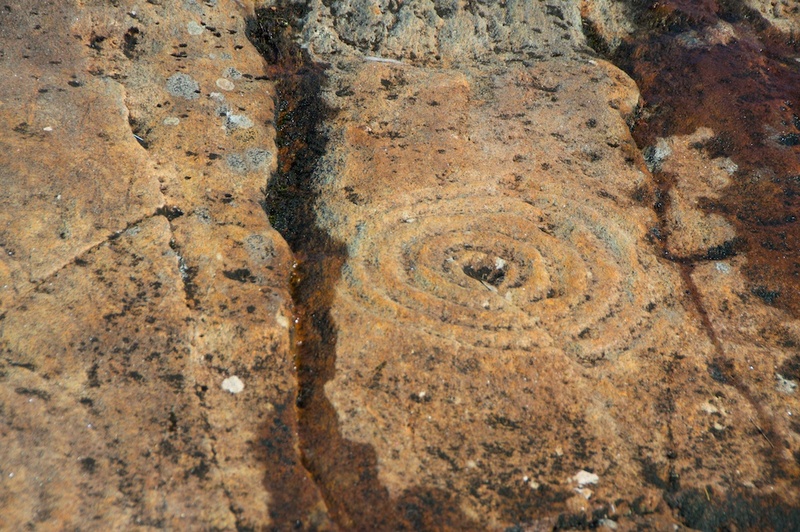 Rock art has still so many mysteries yet to be unravelled (if they ever will be !) probably we are never going to fully understand, ultimately all will come down to conjecture. Thank you, David. What you say is very true. And it was lovely in a way not to have bundles of ‘facts’ to absorb – just to be able to breathe it all in. What a fantastic site and your photographs of it are beautiful. I’d love to visit this place. Thank you, Jessica. You would have loved everything about Achnabreck. And we made very slow progress up the track, with so many other things to photograph! Well done, Jo, pictures and prose. I’ve never seen anything quite like that. Makes me wonder if it describes some sort of path that a shaman might follow when performing a ritual. The idea that things like rocks and woods and water have spirits is very ancient. Probably came out of Africa with us. What a magical place. How very curious. Your photographs are inspiring and I love the look of the forest track, it lures the viewer in. What a lovely walk, made extra interesting by the mystery of the rock art. Beautiful photos. The leafless trees and the hanging moss make for a great atmosphere. It was beautiful, Jane – felt as if the earth was just waking up. So deeply peaceful, too. Thank you! It was a perfect morning for photography. I was only vaguely aware that this place existed, but I’m so glad we found it! In many ways it has just as much atmosphere as standing stones or other more dramatic sites. Yes, it could be so simple, Lynne! There’s something very special about Kilmartin Glen, as you know. We had a brilliant day for photography. Makes me want to go back over there now! Gosh Jo, love this posting. What an amazing place which I hadn’t heard of before. The photos are incredible. Makes me want to pay a visit!! Thank you, Moira! You’d love this place, I’m sure. It’s just magical, and we caught it on the most perfect morning. Wonderful photos Jo 🙂 And the stone markings are truly fascinating. To me, they must be for some sort of ritual or ‘religious’ use, as they would have taken many hundreds of hours to have carved them so precisely. The rocks that they have been carved into must be hard, so that they have survived till now. Imagine trying to just carve your initials with just another rock! it would be nigh on impossible – at which point all the UFO people scream out that they were caused by aliens, which is another thought to add to the mix (not that I believe that’s how they were formed). Hi Jo. 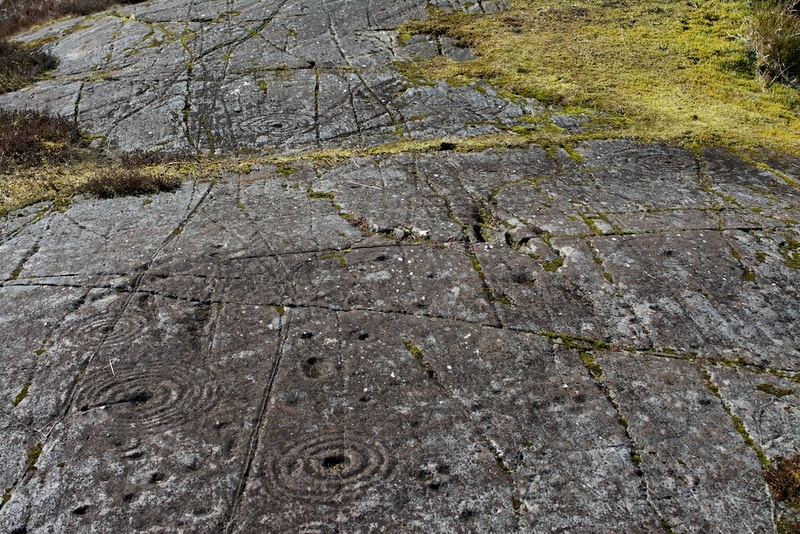 Rock art is a fascinating subject, and it’s interesting that the same themes seem to crop up at different sites across the British Isles, so there must be some significance to those shapes and squiggles. They are obviously more than mere doodles. There’s definitely some wisdom here, Alen, that we’ve forgotten at some stage down the line. Do you have any examples in your part of Spain? That hadn’t crossed my mind, Jo. I shall look into it. What a beautiful mystery. They look like raindrops on a pond. Yes, that’s very true! Maybe they represent energy in a similar way. Very interesting, I had an ancestor who lived at the farm of Ormaig in the Northern part of Kilmartin, just next to where the other famous rock carvings are situated. To think they lived and worked the land, completely oblivious to the carvings which had become overgrown with vegetation. That’s a very interesting thought, Colin. It makes you wonder what is still there, under the surface. I’ve not long returned home (Australia) from a family history tour of Scotland.Since returning I’ve discovered your magazine and read a few articles about places I’ve been to. What a shame I didn’t find you before I went! What I did and saw was amazing and very personal but I could have added that extra layer. I was very close to this site and had no idea it was even there. Hi Robyn, oh that’s a shame! But I hope that you had a very enjoyable trip anyway. I think there are always extra places to explore, no matter how many times you visit – I find that, anyway, especially with sites like Kilmartin Glen. I hope you’ll get another opportunity to come back and explore further!